DC Cook Direct in liquidation | What Car? 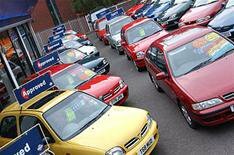 A 'large number' of customers stand to lose deposits put down on cars, after dealers DC Cook Direct and Indigo Cars were placed in liquidation. The two companies were run by a holding company called Changing Gear Limited, which was based at Manton Street, Sheffield. A statement from Tenon Recovery, which is handling the liquidation, said: 'Unfortunately there are a large number of customers who have paid deposits for cars which will not be delivered. 'At the moment, we have contacted every known customer in this situation. 'Clearly, if anyone has paid a deposit by credit card, then we are recommending that they contact their provider with a view to obtaining a refund. Around 28 people were employed by the company. They have all been made redundant.